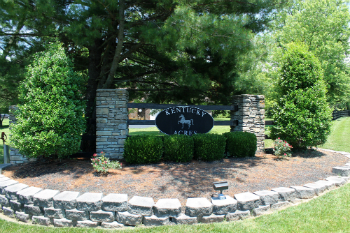 Homes for sale in Kentucky Acres, a neighborhood of Crestwood, KY, are displayed below and updated daily from the Louisville MLS. Kentucky Acres features homes on 1+ acre lots and is minutes from Exit 14 off I-71. The neighborhood has wooded, walk-out and flat builting sites. It is located in the award-winning Oldham County School District. Additionally, the neighborhood is near the Oldham County YMCA, The Oldham County Aquatic Center, Wendell Moore Park and is a short drive to The Paddock Shops. For your convenience, register for a free account to automatically receive email listing alerts whenever new homes come on the market in Kentucky Acres that match your specific criteria. SELLING YOUR KENTUCKY ACRES HOME? If you are planning on selling your Kentucky Acres home, and would like to determine the value, click here.